Are you looking for reliable heating oil delivery in Chesapeake, Virginia Beach, Norfolk and Portsmouth? Look no further than Pallett Heating and Cooling. 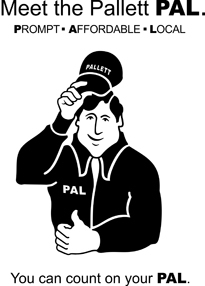 Pallett Heating and Cooling offers prompt, dependable heating oil delivery service. We have a fleet of trucks to ensure timely deliveries, and we offer our customers great benefits including a convenient Automatic Delivery plan to guarantee you’ll never run out of heating oil. We back it up with superior customer service and experienced courteous Delivery Drivers who treat you and your home with respect. The new heating oil is an environmentally friendly way to heat your home and hot water. New energy-efficient equipment burns low sulfur fuel 95% cleaner than in 1970 – well within EPA standards. And there have been advances in how heating oil is refined as well. In fact, over the last 30 years, the carbon footprint of heating oil has been reduced by 40%. As an added benefit to our customers, we supplement our heating oil with an additive to improve tank conditions and prevent sludge build-up in your tank. Our goal is to eliminate break-downs and improve the efficiency and longevity of your Heating Equipment. Heating oil pricing is hard to predict, but we do our best to offer you competitive rates. We also offer lots of ways to help keep your heating oil bills in check from energy-saving equipment and maintenance plans to a range of budget options. While we cannot control the price of heating oil, there are things we can do to make your heating bill easier to manage. We accept all major credit cards and checks either in-person or over the phone. You can also register to review your account online and pay with a credit card 24 hours a day, 7 days a week. Call us at 757-545-5569 or contact us to learn more about heating oil delivery options and convenient payment plans. Want to schedule an appointment for a tune up, repair, or get an estimate? Enjoy year-round comfort and priority service and protect yourself against costly repairs with our Home Comfort Plans. We provide great coverage for oil and gas heating systems as well as central air systems and heat pumps. Water heater coverage is also available. Click the link below to see our full plans.